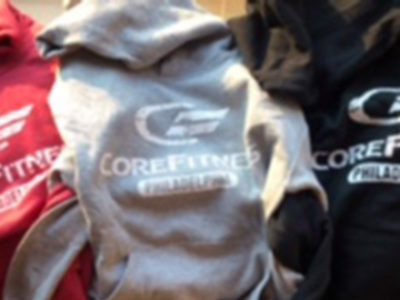 Combine a cozy CoreFitness hoodie with a 5 class card and save $40! It's the perfect gift "CoreFitness Holiday Deal" for a friend... or treat yourself! 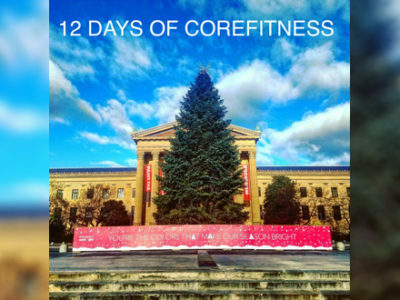 12 Days of CoreFitness Kicks Off on December 12th! 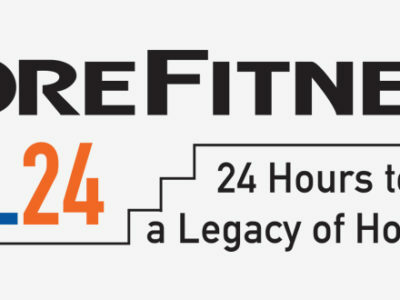 This "12 Days of CoreFitness" class series runs from December 12th -23rd and will prepare you to ring in the New Year feeling strong and fit! November Boot Camp Class Schedule! Chillier weather means we move our classes indoors when needed, so check out our November Boot Camp Class Schedule! It's the CoreFitness Holiday Fitness season and we're excited to kick things off with the return of our popular CoreFitness F.A.T. (Fit At Thanksgiving) Classes! October’s Trick or Treat Boot Camp Class Challenge! Up for the next challenge? Get to 15 classes in the month of October and WIN TREATS! 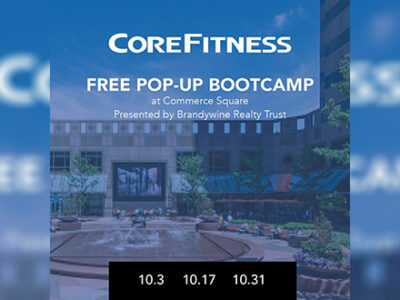 Join our Colleen Foley of CoreFitness for a Free, 30 Minute post work, workout class on Wednesdays throughout October at Commerce Square! 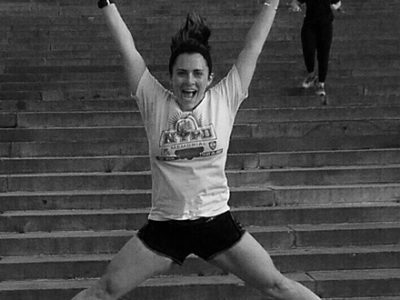 CoreFitness and FESPP Host Fairmount’s Favorite 5k! 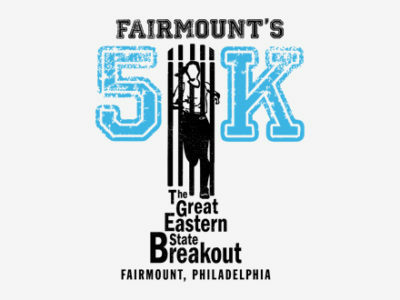 The "Great Eastern State Breakout 5K" is a one-of-a-kind, USATF-sanctioned flat, 3.1 mile run through Fairmount, inside the grounds at Girard College and right past the Eastern State Penitentiary! CoreFitness 7th Annual BYO Pumpkin Boot Camp! With the 7th Annual CoreFitness "BYO Pumpkin Boot Camp" your pumpkin is your workout partner!